Are you tired of feeling bad, of having to work so hard just to get up and face the day? Are you ready to start the healing process? What would your life be like 6 months from now without all the pain, fear, anger, resentment? Divorce coaching with Lori through the divorce process is such a blessing. Having someone on your side who advocates for the emotional well-being of you and your family, not only your legal needs but all your needs, is Lori’s holistic approach. 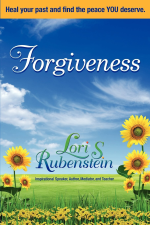 Turning tragedy into a gift is Lori’s trademark, and she is here for you too. Thank you, Lori will get back to you shortly! 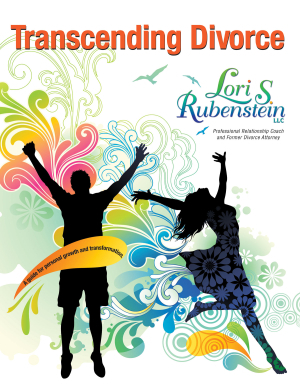 Lori’s signature program, The Divorce Healing System, gently leads you through what may be the most challenging time of your life. In 3 to 6 months, you will find more inner peace as you navigate through the 7 step healing process. You are here because you do NOT want to live a life of anger, bitterness and hatred. You do NOT want to live your life as a victim, or worse, a martyr. If you are feeling abandoned, betrayed, unloved, unappreciated, confused, out of control, or scared, you need serious support. You do NOT want to live a life filled with hurt and pain to the point where you build a blockade around you to keep others away from you. And honestly, I do not want that for you either. It is my honor, my passion, my dream to help you get through the tragedy of divorce, with your head held high. I understand every aspect of divorce. 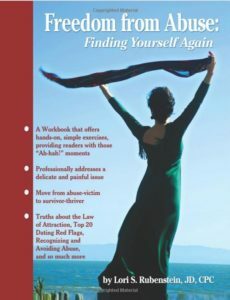 I was a child of divorce, I was divorced myself, I was a divorce attorney and mediator and now, as a divorce coach, I developed this amazing process to help YOU get where you want to be…in just six months! NOTE: This is an “example” of what is included, and the order of the steps are not rigid, but rather, are tailored to flow with YOUR needs. Each month you will coach with Lori one on one for 3 session, 60 intensive and powerful minutes each! What is included in The Divorce Healing System? We will begin with a 2 hour initial intake session that will provide you with a serious reality check of where you are right now. We will deal with all emergencies, evaluate where you are in the legal system, finances, parenting and your own mental and physical health. If necessary, I may be referring you to a mental health specialist, physician, attorney, mediator, custody evaluator, financial planner or additional supportive persons. We will examine whether your foundational needs (ie. Food, sleep, etc) are being met and if not, we will make sure they are met. Obviously, you can not heal if you are sleep deprived. Probably the most exhausting element of divorce is the story you tell yourself in your head. We will deal with patterns of self-abusing thoughts, what I call “gremlins” (negative self-talk). We will work on eliminating the need to blame others for your situation. You will learn to recognize and understand your feelings and not let your emotions run you. We will review and eliminate energy drains, tolerations, “shoulds”, and clear clutter from your life. Effective action plans to effectively deal with these issues will be developed. We will continue dealing with ‘gremlins’, shoulds, frustrations and energy drains. Other issues to be dealt with during this period are dealing with overwhelm, developing boundaries, looking at any issues around co-dependency, clearing clutter, and looking at your divorce from a more realistic perspective. You will start using positive language when speaking about your situation and start seeing your situation from a new perspective. We will start looking at who you are and who you want to be. Examining and developing new values and rules that best serve a NEW you. The YOU that you wish to be. You can actually start the process of dreaming about the future. This is where you start moving into the place of peace, through taking personal responsibility for your part of the breakup and by letting go of blame and resentment. You actually start to shift your reality by opening up to new spiritual perspectives, incorporating more flexible thoughts, beliefs, and actions. Understand the red flags and triggers you experienced in your marriage, so you learn to avoid them in the future. Triggers can be dealt with and released. This is you stepping into self-sufficiency. We discover what you need to be self-sufficient and be your very best self. NO MORE WHINING OR FEELING SORRY FOR YOURSELF. A regular spiritual program is helpful in this stage, as is incorporating a healthy exercise routine. This is when I tell you it is time to step up and firm up all your learning up to now, because you enter the most difficult and most rewarding part of the whole process. You MUST do the work here, there is no sliding through. You will completely forgive your spouse, their relatives, and yourself. You might even need to forgive your children, parents and God. Once this step is complete, you will bring more gratitude into your life and be able to live free from the burdens that accompany pain, resentment, bitterness, hurt and anger. Your dreams start taking shape and your actions move you in those directions. There are a couple things going on in this step. First, we clean up any remaining issues in the legal process, with custody, visitation, finances, housing, energy drains, and communication issues with your ex and your children. Second, we will make sure your values and rules and boundaries are in place regularly. Finally, you create a vision for your future. You are feeling hopeful, and have incorporated new healthy habits into your life. You are having fun on a regular basis, and are actually looking forward to your new life! With your support network in place, you are ready to continue developing the life you love. Your dreams of feeling peaceful and content are a reality. You have goals that are supported with further action steps. At this point, you might be deciding whether you want to date, and we can talk about other ideas that will support you in that effort. This is where you leave the cozy, supportive nest of coaching, and fly out there in the world. I will always be there to support you if you need help down the road, but at this point, you should be able to do it yourself. I truly can’t do you justice!!! I knew if I searched I would find someone that could change my life in all aspects, not just my divorce. Lori has helped empowered me. My love for life has been renewed and my self worth has been redeemed. I will forever be Grateful. With Transcending Divorce, you won’t have to wait years for “time to heal all wounds.” In fact, imagine that at the end of this journey, you feel more self-assured and confident with a strong knowing that the divorce not only happened for your benefit-but it was actually a gift? Yes. I know that seems like a lot to promise. And, maybe you’re not ready to hear that there could be anything good after the hurt-let alone something that can be seen as a gift-but that is exactly what Transcending Divorce delivers. This workbo ok takes a victim and turns her into a survivor, into a woman who thrives on her own in the world! 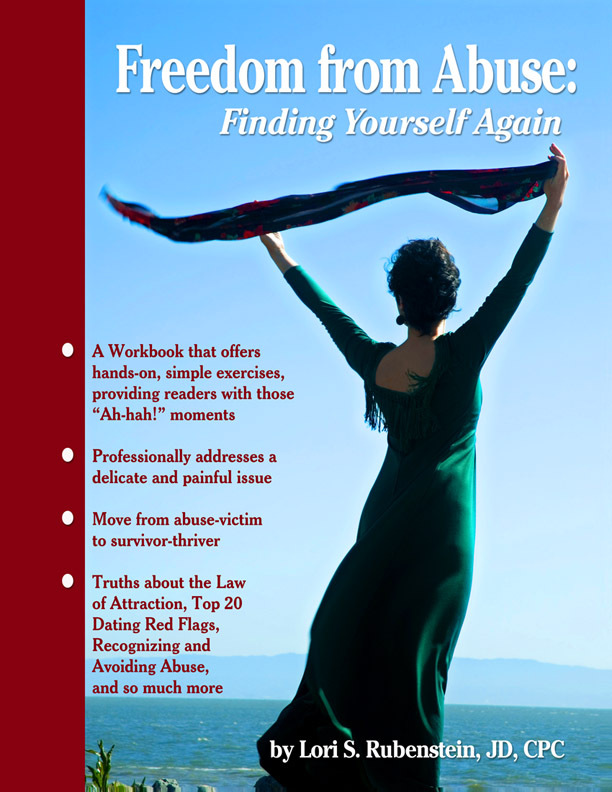 The book will take you step by step, teaching you how to honestly look at yourself and to make the necessary changes in your own life to insure that you do not get into another abusive relationship. The book answers the question, how did you get in this place to begin with? After all, no one grows up dreaming of a prince charming who is emotionally berating or physically abusive. The most important question, how do I stay out of abusive situations, is also addressed. Learn about how you can use your divorce as a spiritual path, even if it’s been years since your divorce, this class will awaken issues that may be dormant, that may affect your current or future relationships, and help open your heart to loving again. Even if you have finished your divorce, but are not feeling good about where your life is going, or your relationship with family and friends, including your ex, believe me I understand. A LOT of people are in this position. I want to help and in 3 months, you will be amazed how much you can accomplish and change. YOUR world will be transformed. Sign up here for monthly coaching. There is help, and the help is right here. Allow Lori to support you to feel whole again, to become part of the world again, and in fact, to become all that you were meant to be…living a life of purpose, with passion and the joy that comes from living a meaningful life. Lori’s guarantee and promise to you: I will accept no more than 10 people at a time in this program, so that I can give you the specialized, personal attention you need and deserve during this time in your life. ** I can not guarantee that this program will be completed within 6 months if there are mental health issues, drug and/or alcohol issues, or abuse issues. From my experience, these issues prevent healing through divorce in a rapid, 6 month manner and will need an ‘add-on’ of extra coaching time. We will discuss this when you begin divorce coaching.